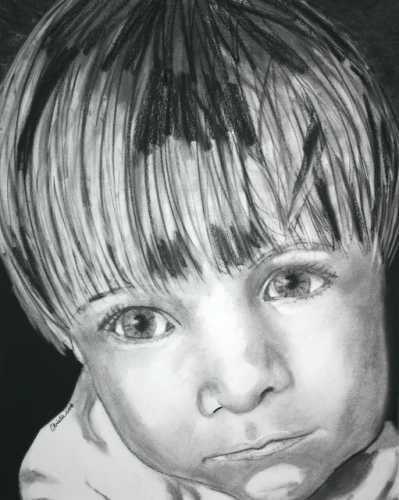 This portrait of Aeslinn is helping raise funds for the Edwardsville Arts Center. It’s being shown as an example of my portrait work and I’ve donated a free ($200 value) portrait to be auctioned off at the EAC’s 2009 annual fundraising dinner at Neruda’s Restaurant. Can’t wait to put up the resulting portrait. I’ll keep you posted. This entry was posted on Wednesday, December 31st, 2008 at 10:26 pm	and is filed under Christee's Favorites, News, Sacred Grounds Show. You can follow any responses to this entry through the RSS 2.0 feed. You can leave a response, or trackback from your own site.